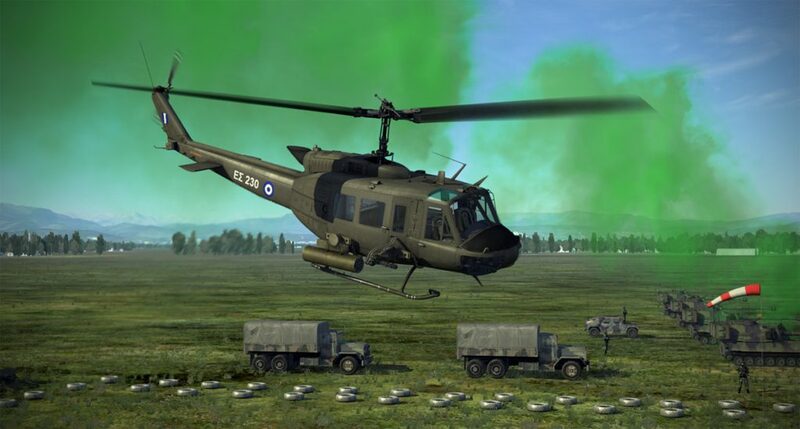 “Argo”, is a story driven campaign consisting of you in the role of an experienced Greek UH-1H pilot with many years of service in the Hellenic Army Aviation. 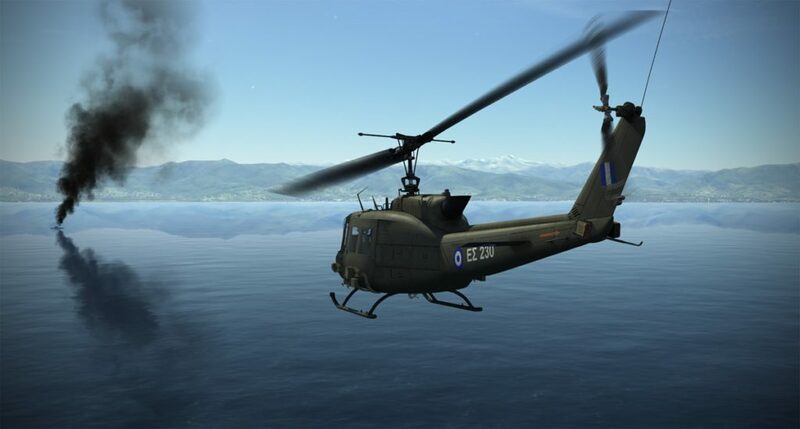 Recently you and a number of active Huey pilots were transferred in the Hellenic Navy. The campaign starts on July 2017. 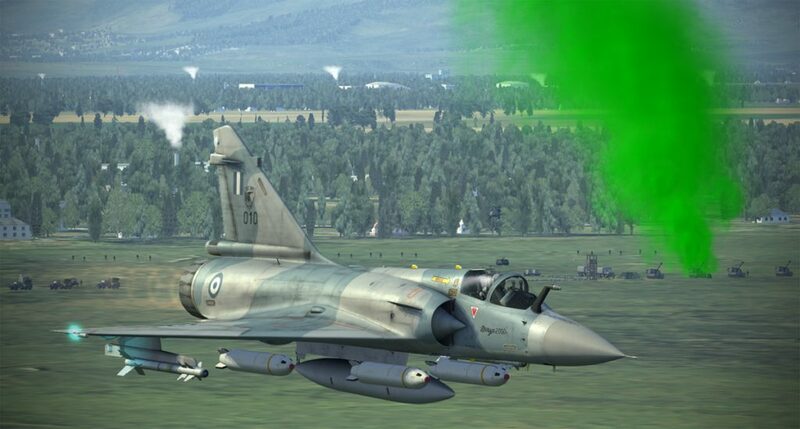 NATO Exercise “Sea Breeze” is taking place once more in the Black Sea. 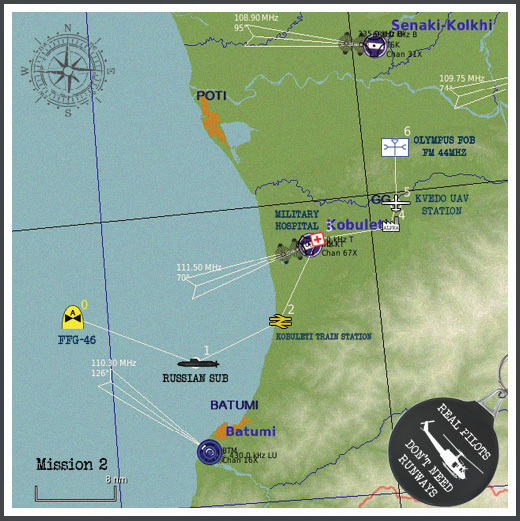 This year, Georgia’s Batumi port is being used as a base for all the allied naval forces. 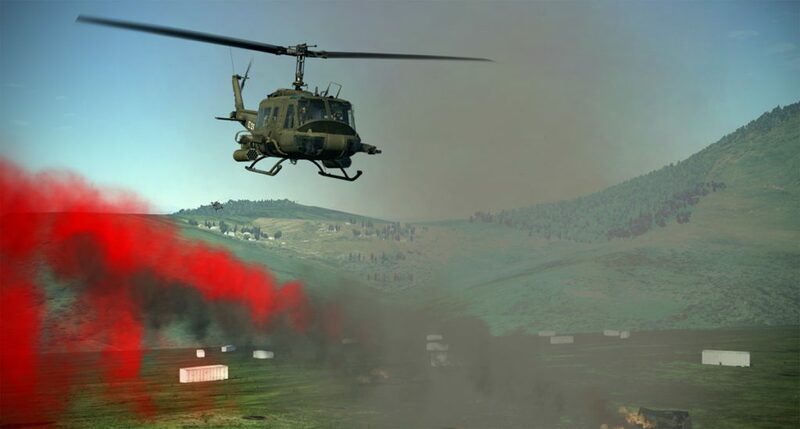 The countries that participate in the exercise are Bulgaria, Georgia, Greece, Lithuania, Italy, Moldova, Poland, Romania, Sweden, Ukraine, Turkey, the United Kingdom, and the United States. One year after the US-led coalition’s operations in Iraq’s city of Mosul, Georgia accepted a large wave of refugees arriving through Turkey. 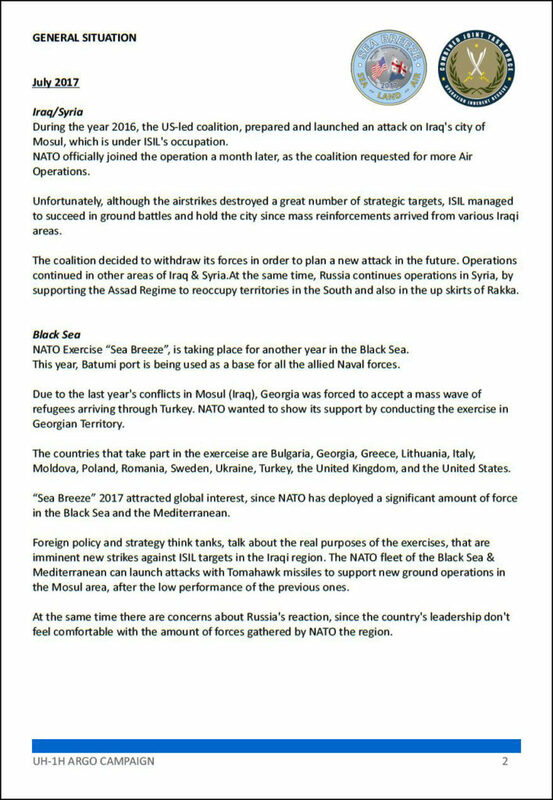 NATO wanted to show its support by conducting the exercise in Georgian Territory. For the needs of “Sea Breeze” exercise, Hellenic Navy’s frigate ARGO FFG-46, sailed towards Batumi in order to provide support to the NATO Fleet and the rest of the Greek Forces. 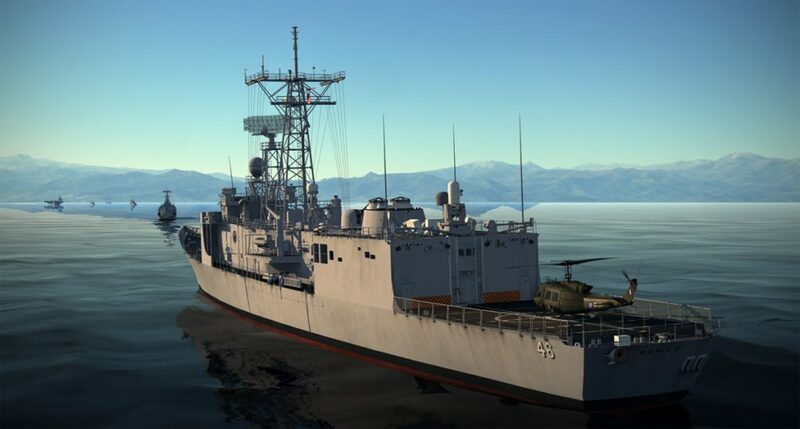 Recently Greece successfully negotiated with the United States Government, about a military partially funded assistance program, which included the purchase of 4x retired Oliver Hazard Perry-class frigates of the US Navy. The frigates were modernized last year with new Radar & Phalanx systems to get ready for foreign sales. 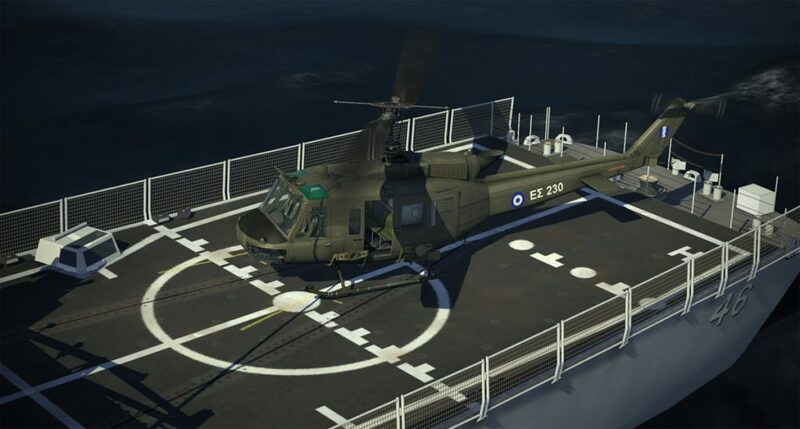 You and your UH-1H were assigned to the new Hellenic Navy Frigate ARGO FFG-46 which was previously known as USS Rentz (FFG-46). 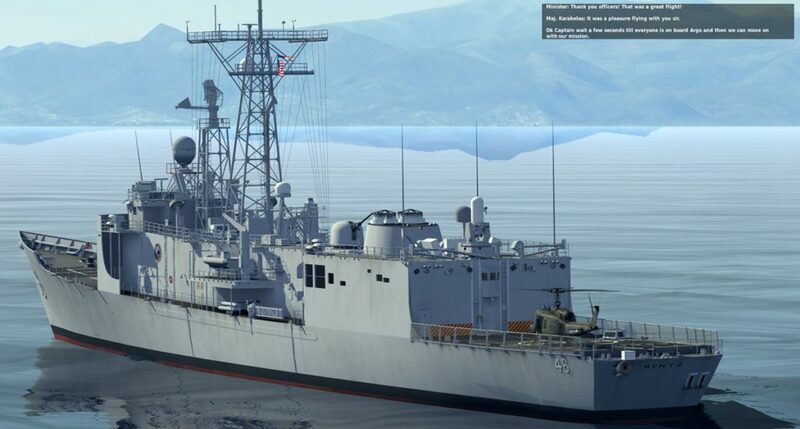 The frigate is still operating under US flag until its crew completes its training to the new weapon systems. 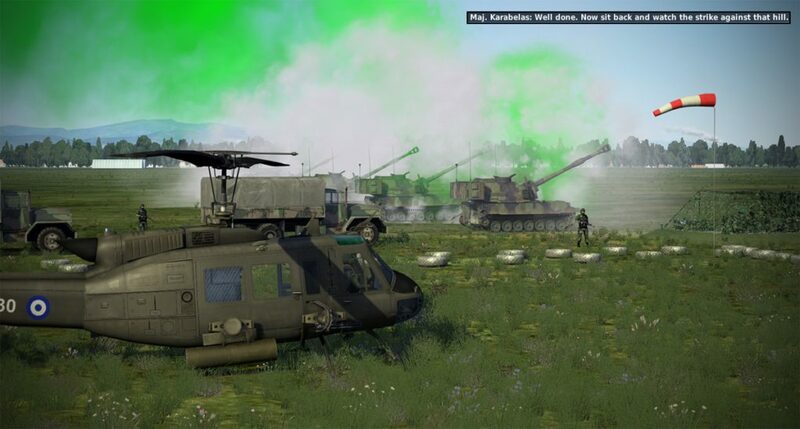 Mudspike was kindly provided a preview of the campaign in the form of the first three missions. 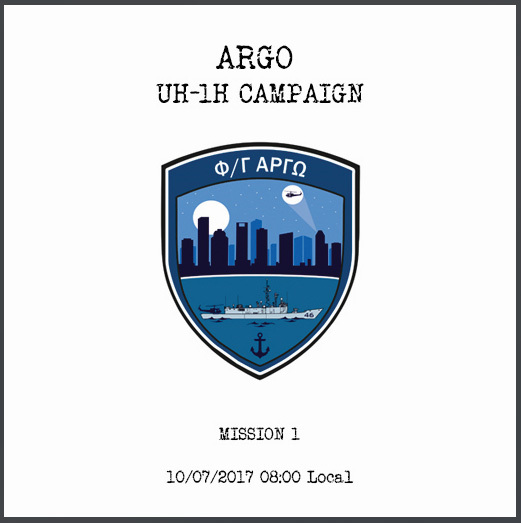 If the build-up phase of the campaign is any indicator – “Argo” is going to be a playable film that everyone will want a part in. The campaign comes with a nicely written Argo Campaign Introduction document which gives a bit of background on the region and explains exactly why you will be participating in the “Sea Breeze” NATO campaign. 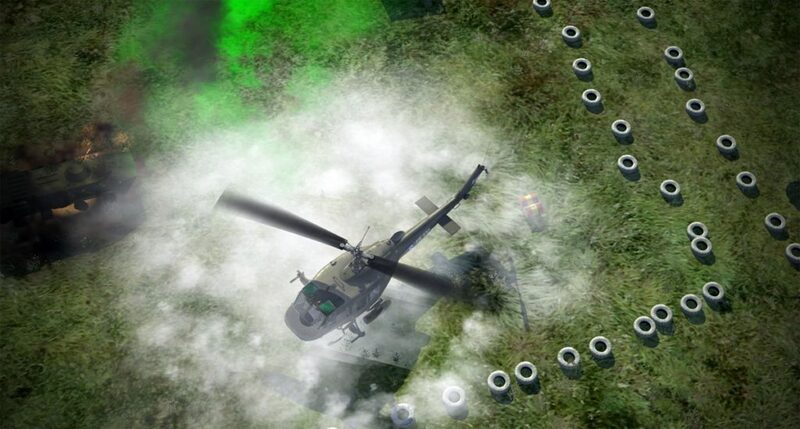 The entire campaign features fifteen missions, over 300 custom voiceovers, and hundreds of triggers that bring the flying experience to life. 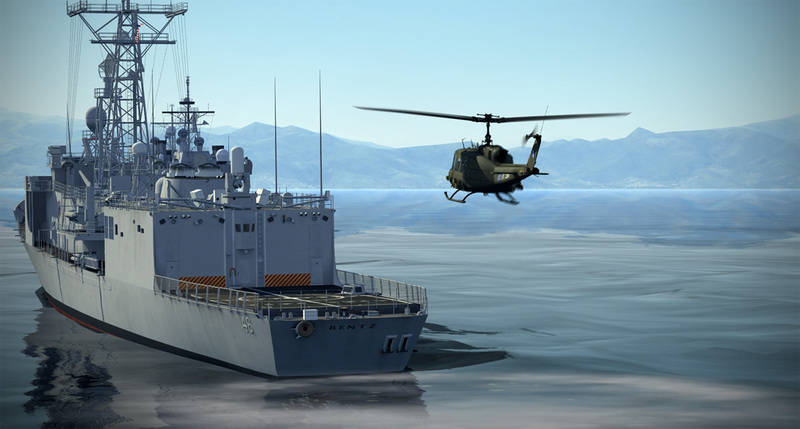 You will be operating from the Hellenic Navy Frigate “Argo” FFG-46. 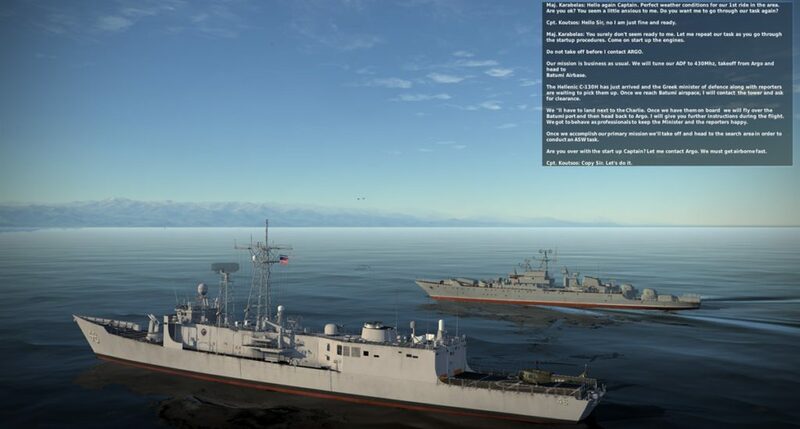 For the purposes of the campaign, the ship is assumed to be manned by Greek forces, but it is still under the US flag as the ship has not been fully delivered to the Greek government. 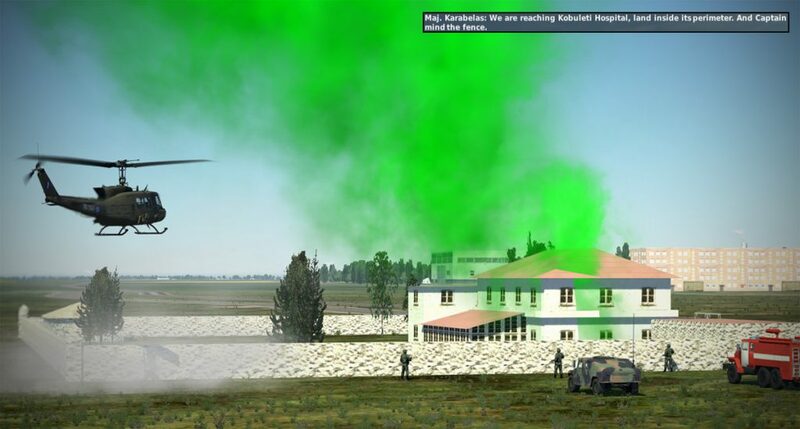 The campaign introduction fills in some details about you as a pilot, your background, experience, and why you are heading to your current assignment. In addition to the broad campaign briefing, each of the missions are accompanied by an extensive mission briefing with additional story elements and specific mission tasks and goals. 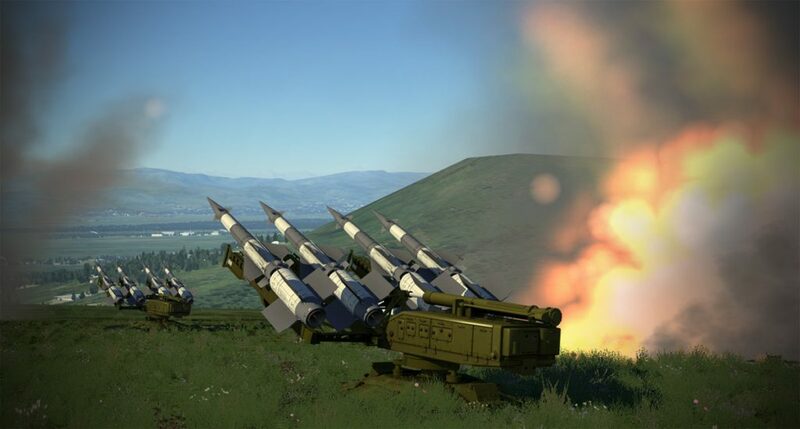 The briefings are some of the best and most expansive I’ve seen for a DCS campaign, with accompanying briefing graphics and “intel” that is extremely valuable. 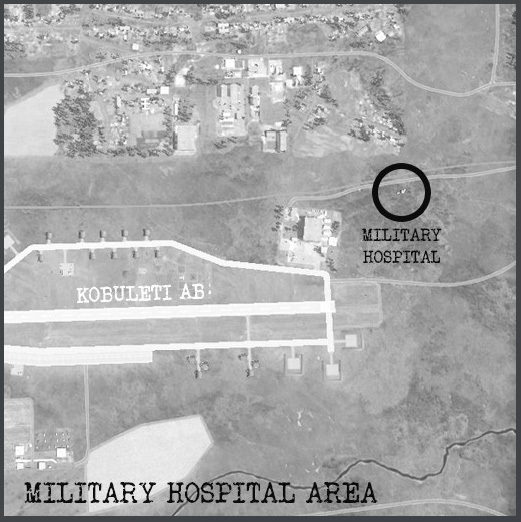 You will probably find yourself revisiting the briefing information a few times throughout the conduct of the mission since the information contained within is important. 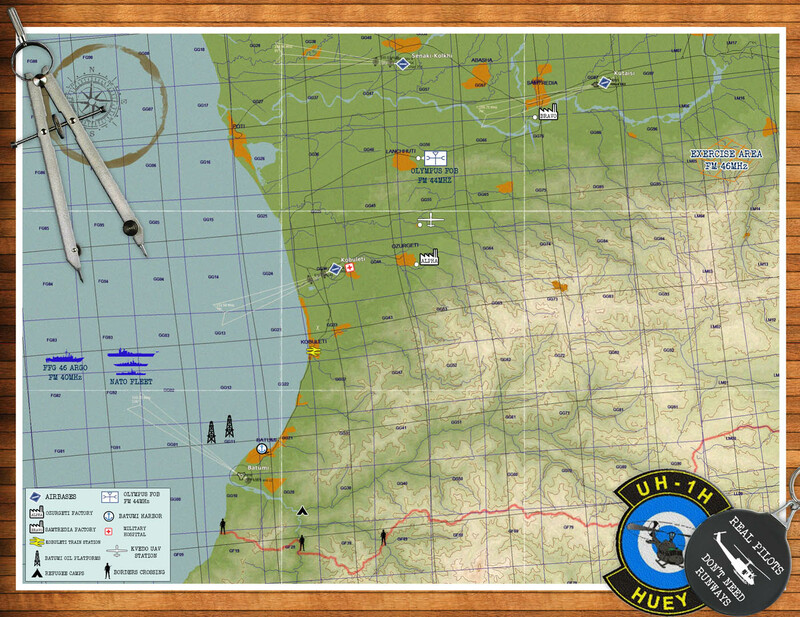 The maps, lineup card, frequencies, and mission photos are a fantastic resource to help you accomplish your goals. My only slight complaint is that there are some occasional verb tense mixing in the briefing stories (they might go unnoticed by most people). 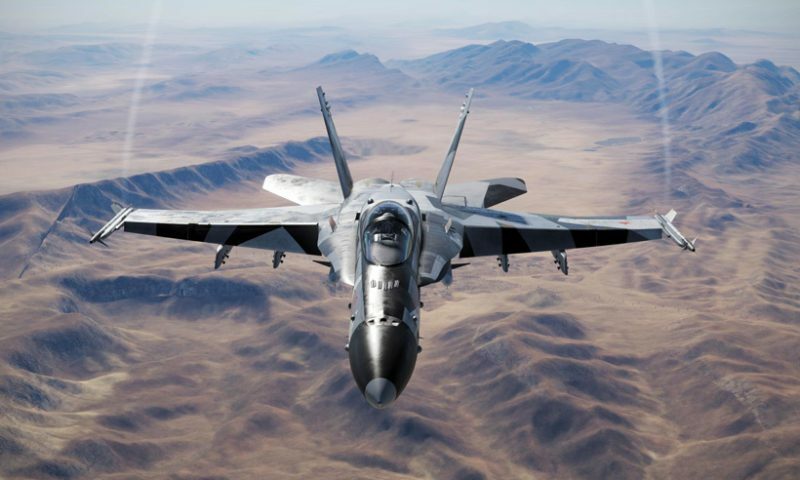 Otherwise though, the story seems plausible, exciting, and even though I only flew the first three missions of the campaign, I was instantly engaged and eager to fly each mission. It will be a DOP™ (Day One Purchase) for me upon release. 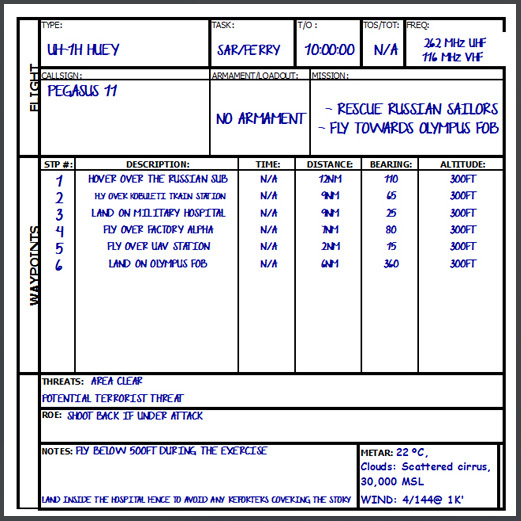 Briefings are very thorough with regards to listing the objectives, the overall plan, and they are chock full of navigation and radio information that will be vital to the successful completion of your mission. 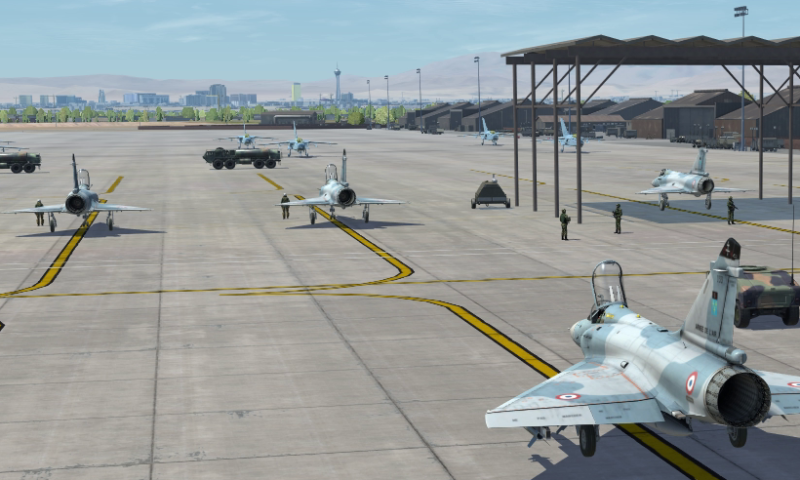 The campaign uses some nice F10 special menu items that will help you keep on task and if you are ever unsure of what you are supposed to be doing, the F10 menu will remind you of your current tasking – it is a brilliant use of the functionality of the F10 radio menu. 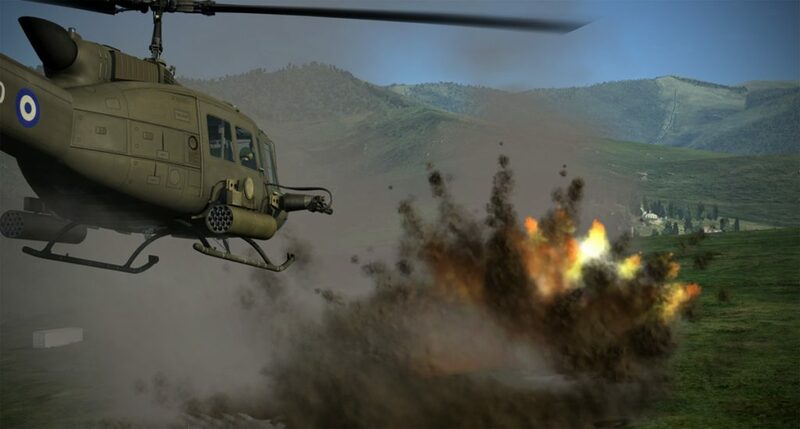 The missions are heavily voiced-over with excellent communications from other theater assets, commanders, and your own pilot’s voice. The amount of dialog is impressive, and the flow and triggering of the mission components is excellent. 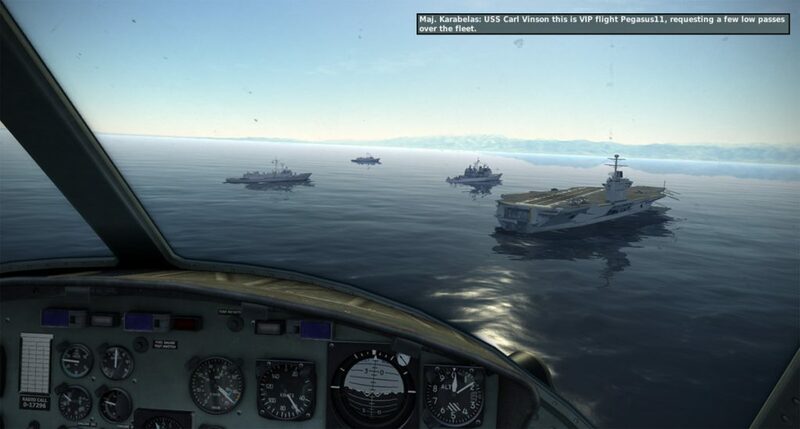 In the three missions I was provided, I had not a single doubt as to what I was supposed to be doing, nor did I have any errors in how the missions unfolded. To have such complex missions go according to script is impressive. 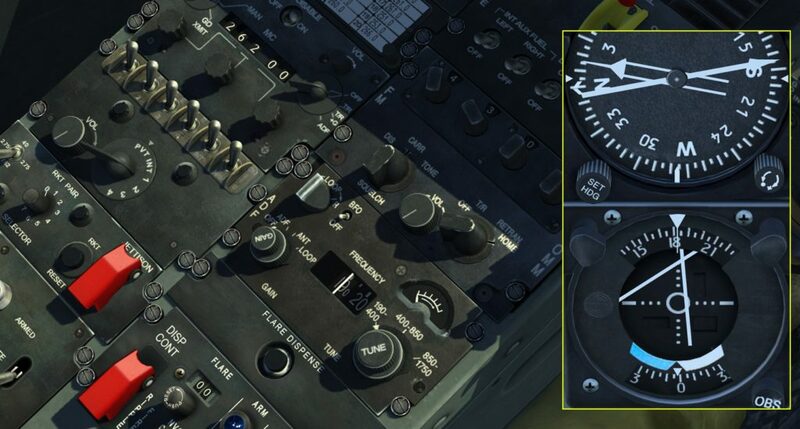 The missions I flew were cold start missions (auto-start is available) with information being provided about your tasking throughout the process. 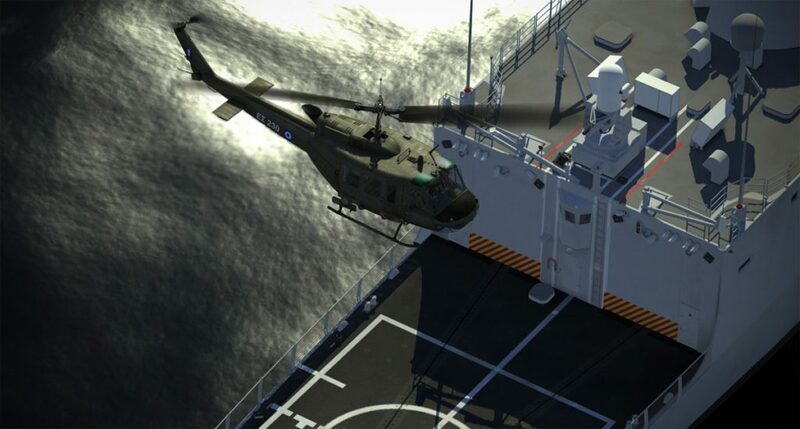 Operating to and from the “Argo” is as exciting as you’d imagine. 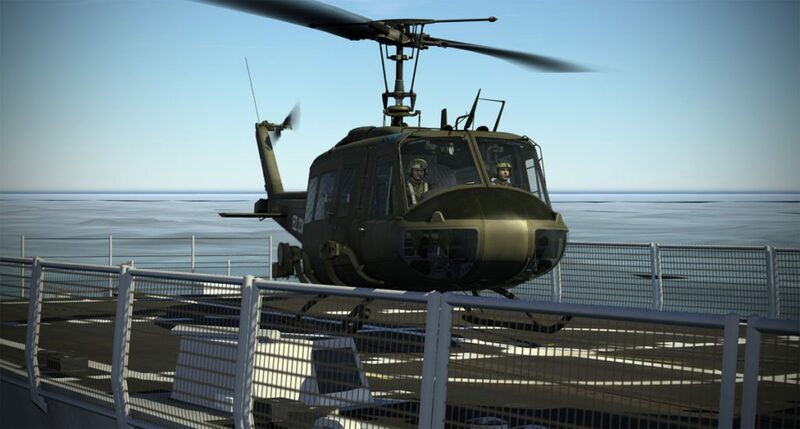 No matter what else happens during a mission, you know you have to takeoff and land on that tiny postage-stamp sized deck – which is always a test of precision flying. 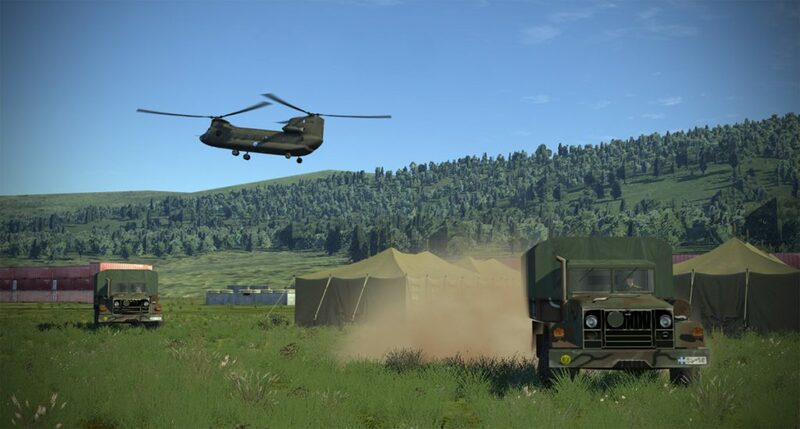 Without spoiling any of the campaign, you can expect to be tasked for many missions, all of which will involve some sort of precision flying, sling loading, using weapons, transporting personnel, and who knows what else. With the bulk of the campaign still ahead of me, I’m curious about what else has been cooked up as well. 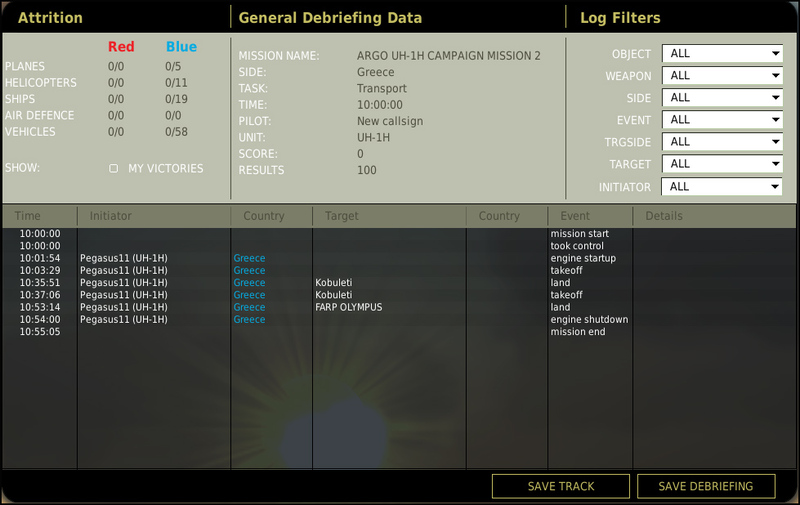 I can say that the three missions I flew ranged in duration from around thirty minutes to a bit over an hour in length. 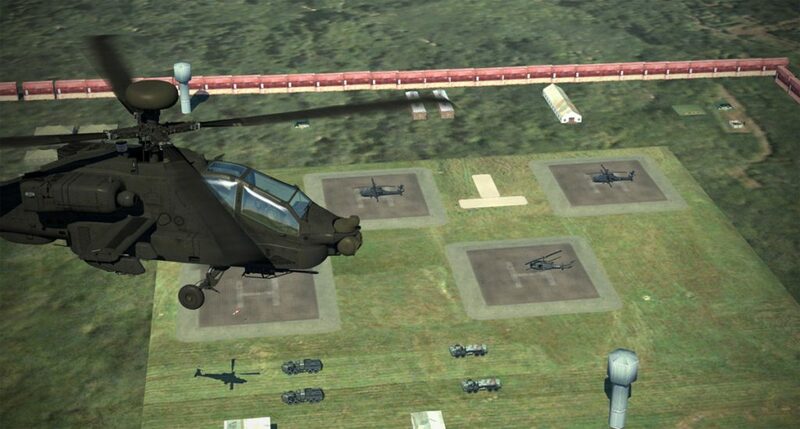 Most of the missions include multiple phases that will require you to perform different tasks, so they have a very nice mix of actions required. 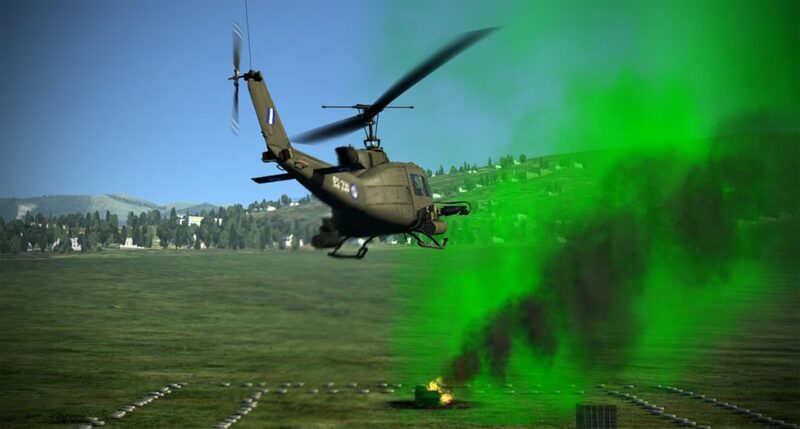 I will also say that the author included a LOT of additional activity outside of the direct conduct of your mission that adds a lot of immersion – other aircraft will be doing their thing, ground vehicles are on the move, and there is a very nice feel of a larger scale operation going on around you. 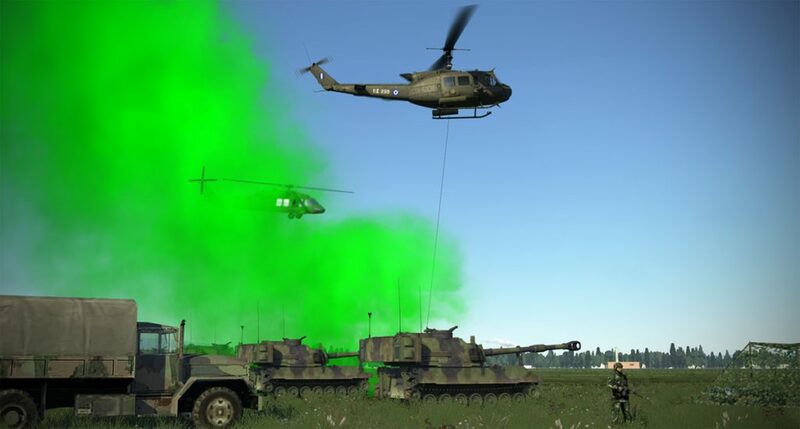 I found that even though I wasn’t an expert at operating the Huey, I was able to quickly get up to speed with the basics (particularly after consulting Chuck Owl’s incredible UH-1H guide) mostly to include learning which navigation radios to tune and use, comm radio selection, and setting up the weapons panel. 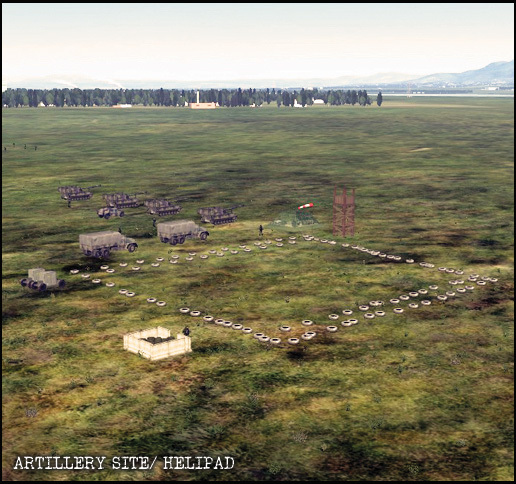 Navigation features heavily in the campaign, so familiarity with the homing aspect of the radios is essential to finding where you are going. 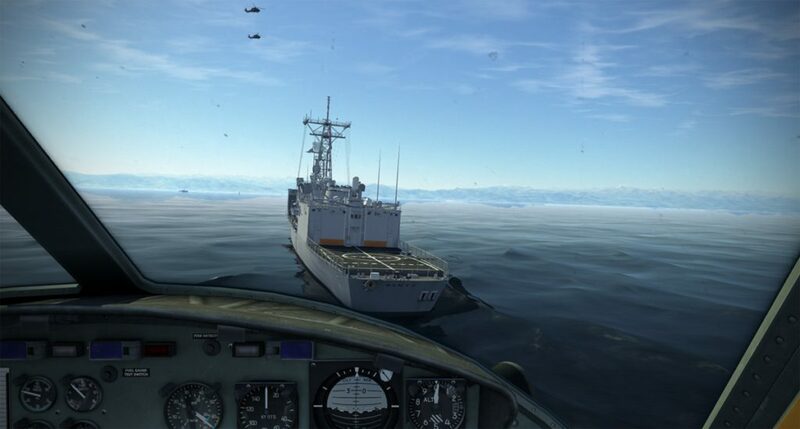 Good old pilotage and dead-reckoning can also help, but remember to slave your compass to your wet compass at the beginning of the mission or you’ll find yourself flying in the wrong direction..! 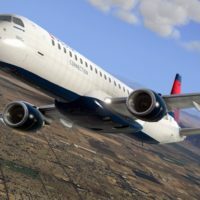 It’s tough to write a preview article without giving away too much, so I’ve taken pains to preserve as much mystery to the first three missions as I can. The pacing and “ramping up” of the missions seems well constructed and the voiceovers are just really well done. 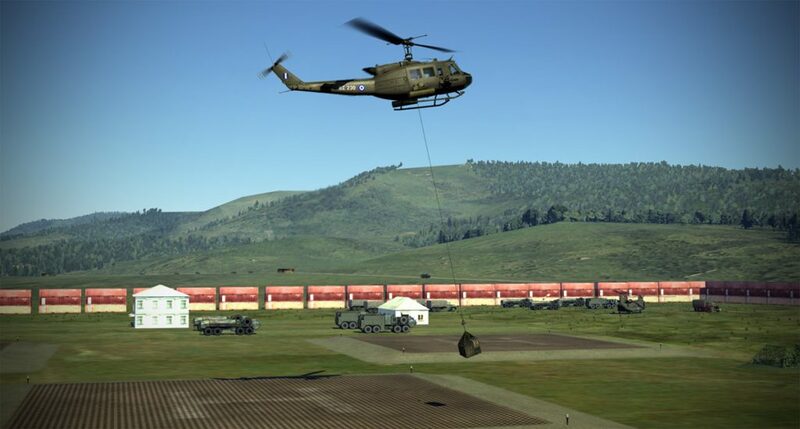 The use of additional units to provide atmosphere, and a really good use of objects to build believable spaces to operate is what really struck me about this campaign. I honestly can’t wait for the full release so I can continue the campaign to its completion. 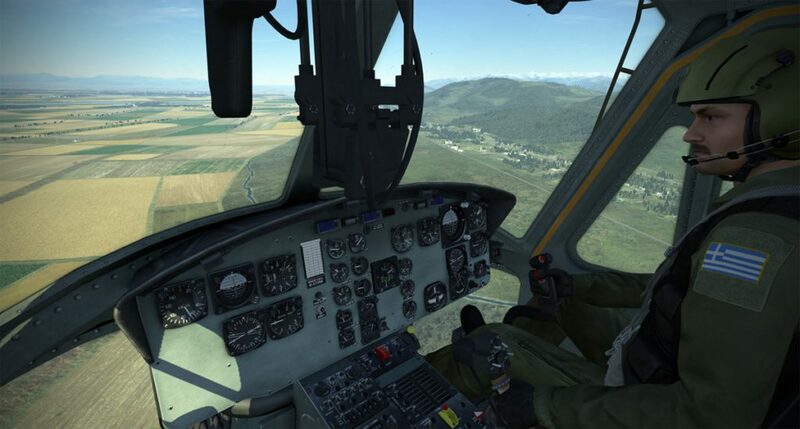 The appeal is evident for fans of a good story, precision flying, and a desire to accomplish well constructed missions. 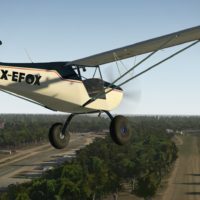 I’ve said it before, and I’ll say it again – this is the type of content that is really valuable to DCS World because it gives us fun “gameplay” to supplement these incredible machines that ED and third-party developers have created for us. 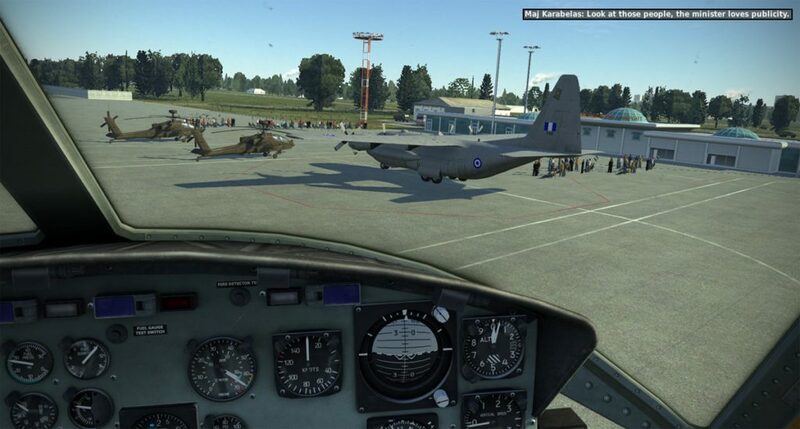 The collaboration between ED, third-party module developers, campaign developers, and the user community is what makes DCS World exceptional. Knew it! Called it! Read it! Love it! I just went back to this “Acro” preview and gave it the thorough read it deserves as I have decided to buy it. And I was blown away by the “photography”. You set a high standard for screen grabs but I think you outdid yourself on this one. Thanks - I’ll be interested to hear how you like the campaign. I thought the first three missions (all I was provided) were nice and am really excited to see how the full blown campaign is. 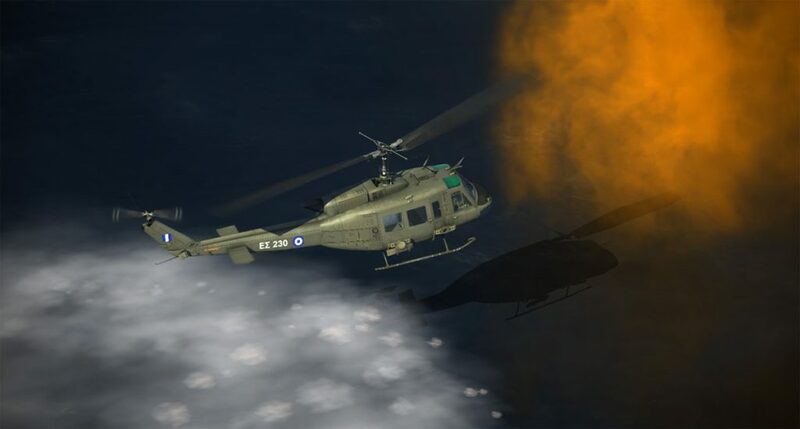 I really think that campaign makers are doing a great job of making these aircraft/helo modules approachable in that most of them nowadays are not Air Quake at all and don’t have you killing 20 units to win a mission. They seem much more reasonably paced with a great mix of types of missions. 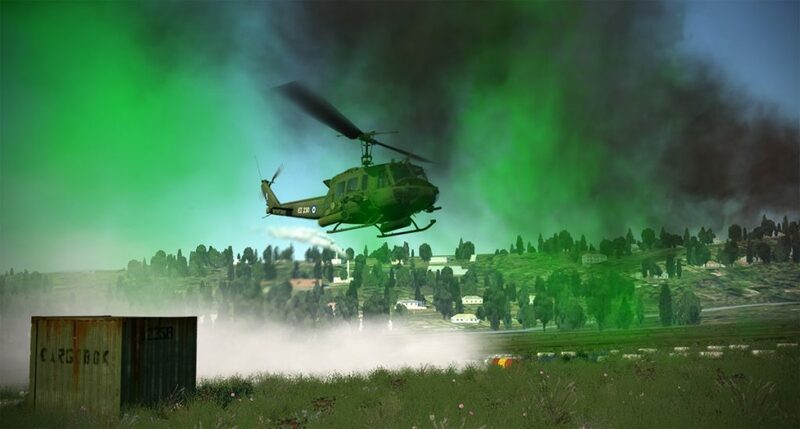 If I may drift the topic a bit I think you might find helo missions in the Blue Flag server to be really satisfying. I am not applying hyperbole here when I say that it is the most fun I have had in an ED product since the early days of Black Shark. Winning the campaign (which takes days) absolutely requires the work of helicopters. Players (the good ones at least) coordinate their efforts using real comms on discrete frequencies. Fast movers are more than happy to cover the low and slow operations and a player working AWACS is often around to keep a warning eye and focus activity to maximum benefit. It’s pretty exciting when the server is full. For the most part, enemy fixed wing do not offer much threat and you can watch in relative safety as death and destruction fill the sky above. 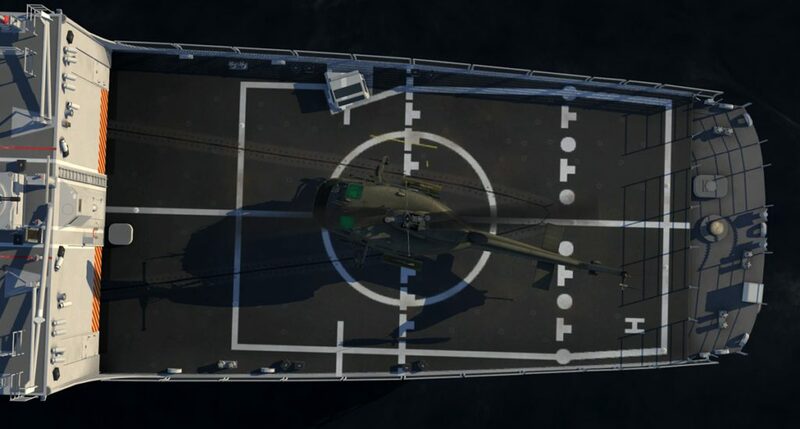 A couple of days ago I was low and slow in a Gazelle when a Mirrage shot by at 600 knots 10 feet off the deck in full burner followed by a R-27 followed by the firing Su27; all unaware that I was just a few dozen meters away. It was…well…thrilling. Drift over. I will happily report back when I finish Arco. Sounds good. I have one more week of “projects” to work on and then I’ll have a good bit of time off - and will definitely be hopping on the Blue Flag server…! 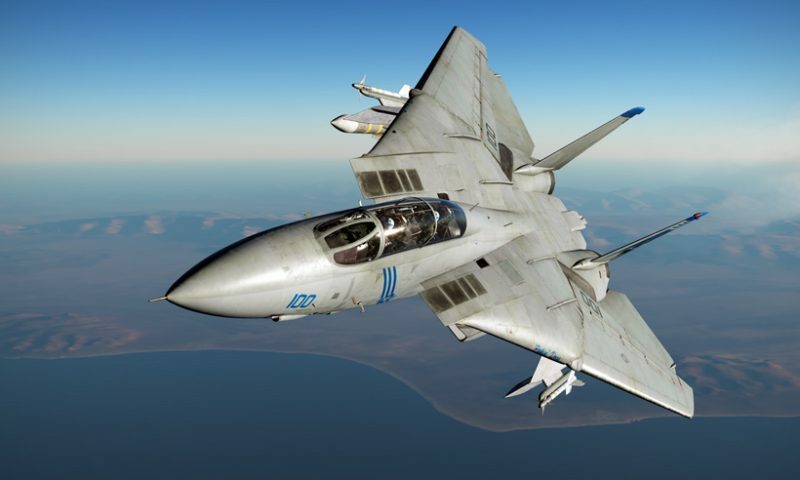 One of the single weirdest missions I ever saw in an official DCS campaign was in a Sea Flanker. 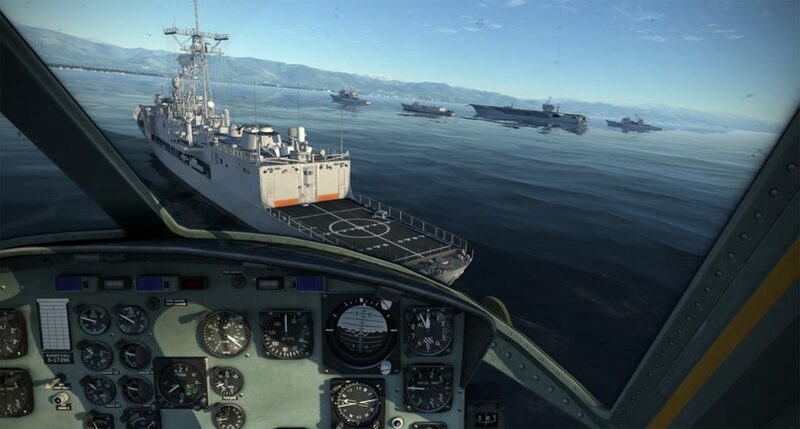 You had to use unguided rockets and bombs to kill about 15 speedboats. Couldn’t progress past that one.